These inexpensive cell phone plans could save you some major dough. Don’t stress—these inexpensive phone plans come with refreshingly low bills. Find out how you can pay just $3/mo. for your cell phone here! Looking for a cheap cell phone plan that will let you dive into your swimming pool full of saved money just like Scrooge McDuck? You’ve come to the right place. But keep in mind that not every plan will be perfect for you. You’ll want to consider price as well as performance in your area—and maybe even features too. With that said, here are five plans that could save you major greenbacks. Ka-ching. * Price includes autopay, autorefill, and multi-line discounts where applicable. Taxes and fees not included unless otherwise noted. This pay-as-you-go plan is as bare bones as they get—and costs less than $5 a month. How much does the T-Mobile Pay As You Go Plan cost? * Price includes autopay, autorefill, and multi-line discounts where applicable. Taxes and fees not included. T-Mobile’s Pay As You Go plan is the last man standing as far as these types of plans go. A few bucks gets you 30 minutes of talk, 30 texts, or any combination of talk and texts that adds up to 30 each month. (For example, 15 minutes of talk and 15 texts.) Any additional calls and texts cost a dime each—that includes both incoming and outgoing calls and texts, by the way. If you decide you want to tack some data onto your plan, T-Mobile’s data pass prices aren’t the cheapest—but they won’t break the bank, either. But if you regularly use data to stream the latest episode of Rick and Morty, we recommend a carrier that offers more data at cheaper prices—like Mint or Sprint. Either way, this plan might be perfect for your youngest child who’s been begging for a cell phone since last year. Wait, did you say there’s a free cell phone plan? It’s got only a small amount of talk, texts, and data, but who can argue with F-R-E-E? We can’t. Learn more about it here. Who is the T-Mobile Pay As You Go plan best for? We recommend the T-Mobile Pay As You Go plan if you fall into one of these two categories. Ting’s customizable plans mean you’ll save money even if you need a lot of lines. Ting offers highly customizable flexible phone plans, and it turns out this approach could save you lots of money if you need a phone line for every member of your family. 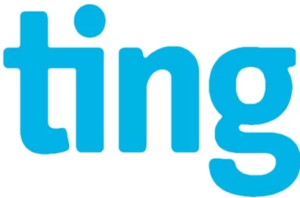 While four lines on most plans from AT&T, Sprint, T-Mobile, and Verizon will cost you more than $150 each month, Ting’s four-line plan comes in under $100 a month. Of course, the cost of your plan will depend on how many minutes, text, and gigs of data you add. But it’s nice to know there’s an option out there that doesn’t require you to spin straw into gold à la Rumpelstiltskin. Who is Ting best for? We think you’ll like Ting if you’re one of these two types of people. T-Mobile’s newest unlimited plan gets you the bare necessities for a lower price. The “Un-carrier” just announced the T-Mobile Essentials plan, and prices for this new plan start out dead even with Sprint’s Unlimited Basic plan. But when you add more lines, T-Mobile’s multi-line discounts stack up. That’s right: four lines on T-Mobile Essentials adds up to about $40 less per month than the next-cheapest unlimited plan from Sprint. That’s why we picked T-Mobile Essentials over Sprint Unlimited Basic. Otherwise, the two plans are nearly identical. Yes, there is a catch. If you’re on the Essentials plan, you’ll be the first of T-Mobile’s customers to see your data speeds slow down if there’s a lot of traffic. And you’ll be able to stream video only at 480p—that’s the same quality as a DVD. Hell-ooo, grainy videos. Who is T-Mobile Essentials best for? Chances are you’ll love T-Mobile Essentials if you’re looking for one of these two things. Just need one line? Consider Sprint Unlimited Basic. One line on Sprint’s Unlimited Basic plan adds up to the same price as one line on the T-Mobile Essentials plan. So if Sprint has better coverage in your area, the choice between these two may be no contest. Check out Sprint Unlimited Basic here. A monthly cost under $20 and calls to Canada and Mexico included? Sign us up for Mint. It’s a common theme that you save more if you pay for more months at a time, and Mint is no exception to this rule. It offers the option for you to pay for 3, 6, or 12 months at a time. We say go big or go home here—pay for 12 months at a time to net the best discount. For the 2 GB plan, that pushes your cost down to under $20 per month. We’re also in love with the fact that your Mint plan includes free calls to Canada and Mexico. That makes keeping in touch with family across the border so much easier. And did we mention you get a mobile hotspot too? Who is Mint best for? Mint made the list for our top international cell phone plans too. Find out why in our review. TextNow lets you ditch the data and ring up under $10 each month. Prefer to watch Drake music videos on your desktop? A no-data plan could save you some money. TextNow’s unlimited talk and text plan won’t even cost you a full $10. Just like Republic Wireless and Project Fi, TextNow relies on Wi-Fi to keep your costs low. When no Wi-Fi signal is in range, it grabs a piggyback ride on either Sprint’s or T-Mobile’s network. Yee-haw. One other perk included with TextNow is that your unlimited talk and texts aren’t limited to the good old US of A. That’s right—you can text your friends in the Great White North with the latest gif you found—or give them a call to wish them a happy birthday. Aww. 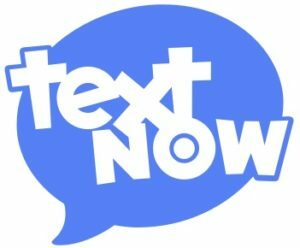 Who is TextNow best for? Recap—what is the least expensive cell phone plan? T-Mobile Pay As You Go is your cheapest option, as long as you don’t need more than 30 minutes of talk or 30 texts each month. Or any data. Ting’s four-line plan will cost you over $50 less than some of the big-name wireless providers—but you’ll be limited on talk, text, and data. T-Mobile Essentials is the new unlimited plan on the block and will save you beaucoup bucks if you need more than one line. Mint’s 12-month, 2-GB plan lets you rake in the bulk-buy savings. Plus, its plans include calls to Canada and Mexico. The TextNow unlimited talk and text plan is perfect for anyone who doesn’t need data but wants unlimited minutes and texts. Chat your heart out for less than $10 a month. We mentioned it before, but you’ll want to balance price with performance in order to really save money on your cell phone plan. After all, it’s still a waste of money if you can’t place or receive calls, among other problems. That said, these cheap cell phone providers didn’t quite make our list, but they might just have the price, performance, and perks you’re looking for. Yes, you have to talk with a representative, but negotiating your bill can really make an impact. Even if you’re already a longtime customer, you might be able to get your current cell phone company to price match or offer you a deal. Be sure to come to them with solid facts, like a competitor’s offer. And if you feel strongly about the cost, be prepared to actually walk away. We’ve found that nothing convinces a company to make a deal more than the thought of losing a customer. Log into your cell phone account and keep an eye on how much data you use in an average month. Surprise, surprise—you may not actually need all that data. This means you’ll likely save a lot of money by downgrading your plan to a lower data cap. Most companies will let you boost that data cap back up or purchase extra data if you need it. So don’t worry if you’re traveling and happen to use more data than usual while streaming Comedians in Cars Getting Coffee at the hotel. Lots of cell phone companies offer multi-line discounts. That is, they reduce the cost of any additional phone lines on your plan. This could mean big savings for you—as long as you’re willing to share. My family is currently on a plan with my in-laws. If we were to go it alone, we’d be paying almost double what we send to my father-in-law via PayPal each month. Yup, we’ll stick with sharing. If you’re looking for ways to save more money on your cell phone plan, you might want to check out the federal Lifeline program. Your income falls at or below 135% of the federal poverty guideline.